Whether you are purchasing new laptops for employees or simply upgrading a few out of date desktops, you've probably wondered how much a computer should cost. The answer depends on several factors. For example, if you’re buying 50 computers at one time, you would probably be able to take advantage of a wholesale or bulk discount. Other considerations for computer cost include which type of equipment you’re purchasing. Laptops, desktops, and tablets all vary in cost. If you’re in the process of shopping for new computer equipment, here are some strategies to help you manage your budget. Many companies choose laptops over desktops to allow employees more flexibility, but desktop computers are still a popular feature in offices. Desktops tend to have a longer shelf life than computers. If you’re in the market for a new desktop computer for one or multiple employees, expect to pay between $400 for a basic model with limited storage space to $3500 for a top of the line desktop with a large hard drive. Desktops also range in price based on operating system as well. For example, models that run Windows may be less expensive than Apple models. Apple desktops vary in cost from $1500-$3500, depending on which features you need. Because of their portability, laptop computers allow employees much more flexibility in terms of where they can work. If your company is interested in increasing team collaboration and offering work at home options, then laptops may be the right choice for your business. Prices for laptops range from $300 for the most basic models to $3000 for high-speed models with large storage capacity. Similar to desktops, laptops also vary in cost depending on which operating system you prefer. Apple laptops tend to fall towards the middle of the price scale, ranging in cost from $1,000-$2,500. Laptops that run Windows have a wider price range, and cost depends mostly on features and brand. Tablets aren’t just for shopping and mobile games anymore. Many businesses are going mobile and integrating laptops into the enterprise environment. These highly portable computers allow for greater flexibility and immediate access to critical business data. Tablets offer most of the functions of traditional desktop and laptop computers, often at a fraction of the cost. Tablets also offer unique functionality for tasks such as taking inventory, conducting surveys, or acting as point of sale systems. Tablets range in cost from $200-$1200, depending mostly on which features you are looking for. If your employees are going to be using their tablets as an alternative to a traditional desktop or laptop, expect to pay towards the upper end of that range. If tablets are going to be used as supplementary devices for your business, a basic model probably suffices. 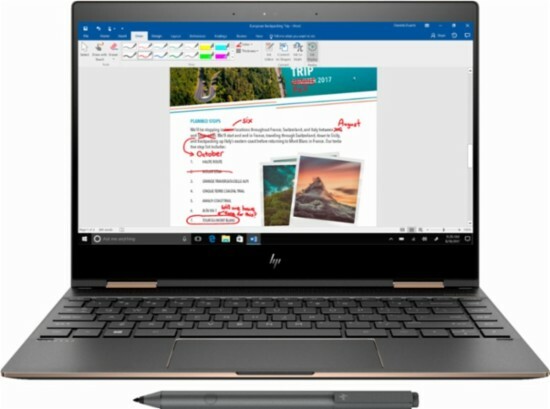 New computers range in cost depending on several factors, including operating system, type of equipment, features, and whether you’re planning on buying in bulk. Some retailers offer enterprise discounts to companies that make bulk purchases. If you are considering purchasing several computers, the cost savings could be considerable if you buy them all at once. If you simply need a few new models, spend some time comparing features and prices. This will help you make the right decision for your business. Previous Article Mint vs. Expensify – Which Money Management Tool Is Best For Business?